More chairs, mostly older types. Check out the white metal chair on this page. It's old, missing it's cushion, badly weathered and very worn, and I don't think I've ever seen one quite like it before. It's outdoor furniture from some era (I don't know which), and it has wheels on the back. 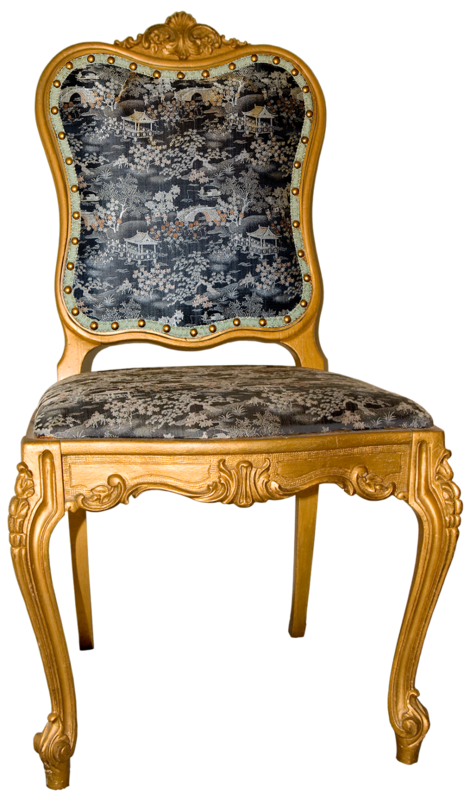 I've seen wheels on the back of older-style chaise lounges, but not just a regular chair like this one. Weird, huh? 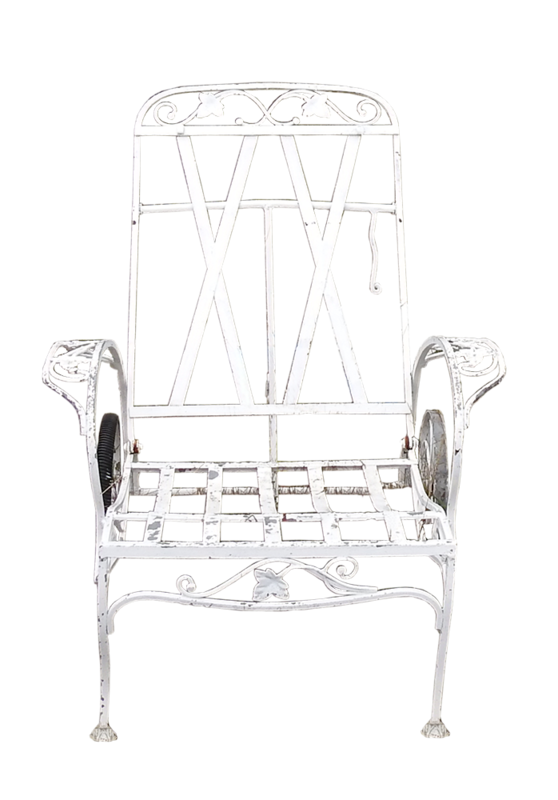 The old wooden highchair is another interesting piece. It was used as a display piece in a friend's home, but when it was built, it would have had the attached tray like any modern one, but certainly lacks the functionality of today's offerings ... and the safety and comfort! All of the victorian styles on this page were furniture in my aunt's home. 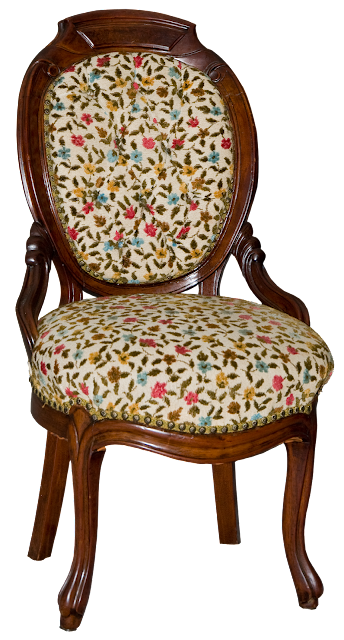 She was a modern-thinking woman, for the most part, but she did love the traditional Victorian styles and spent years searching out original pieces for her home. It was almost like walking into a museum sometimes, but she didn't treat it as such - she lived in her home using the furniture for every day living, just like anyone of the Victorian era would have. 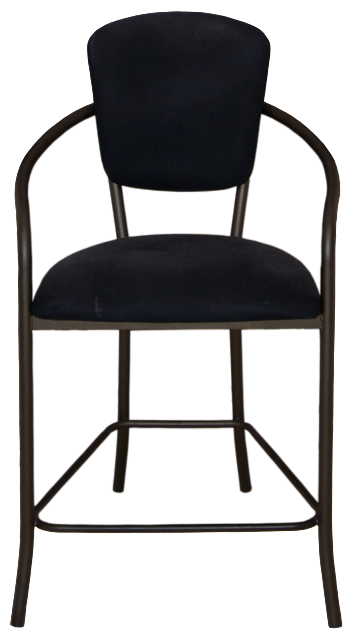 Old metal chair for outdoor use. 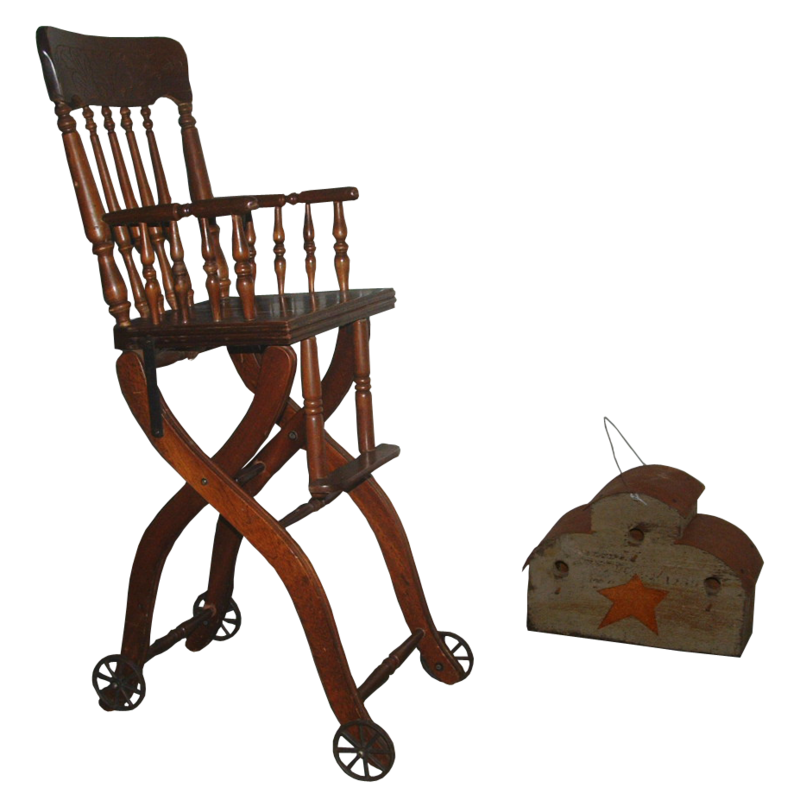 Victorian High chair of wood, with wheels. 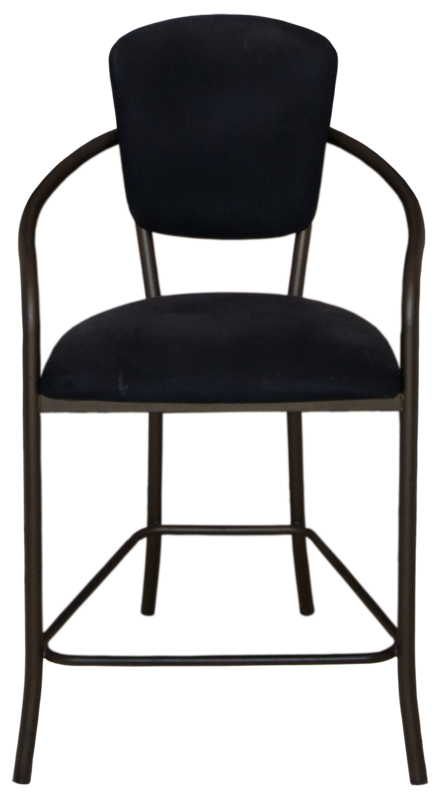 Modern bistro-style chair with curved metal arms. Ladies Victorian Slipper-style dressing room chair. Victorian carved parlour chair with needle work upholstery and metal tacks. Carved vintage dining chair in gold paint with oriental scenic fabric. 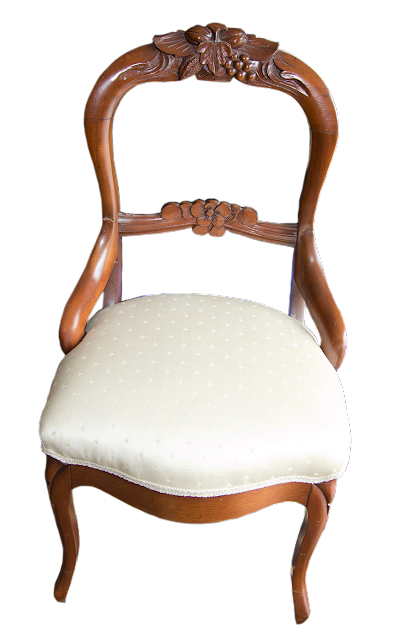 Victorian open-back carved walnut chair with white padded seat.